There seems to be a new software patent conflict in the European air as a result of the European Patent Litigation Agreement (EPLA). The EPLA is a project by the members states of the European Patent Convention, and it is being organised by the European Patent Office. The EPLA will create a European Patent court, which would be in charge of the enforcement of European patents. This job is currently performed by national courts, and to a lesser degree by the EPO Board of Appeals. 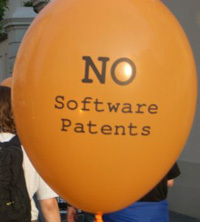 While the simplification of the process could be benefitial, activists against software patents are concerned, and FFII has already been actively posting these worries on their website. One of the main problems with the EPLA and the new courts is that there appears to be a steep increase in the cost of patent litigation in Europe, which would make it more difficult for SMEs and open source projects to fight software patents. There is also a danger that the court will become extremely pro-patent owners, as is the case with the American Court of Appeals of the Federal Circuit. To complicate matters, the European Union has been looking at establishing a separate system with the Community Patent, which would have its own judiciary process. I’ve looking at the documents and it seems like the proposal is stalled. If any reader knows more about this, I would be willing to hear from them.